Chicago's Magnificent Mile relishes in its reputation as the Midwest's answer to Beverly Hills' Rodeo Drive or New York's 5th Avenue. Located on Michigan Avenue from the Michigan Avenue Bridge (to the south) to Oak Street Beach (to the north), the upscale shopping district boasts the highest concentration of luxury boutiques and retail department stores in the city. Along the Mag Mile strip pedestrians will also discover a number of art galleries, historical landmarks, hotels, restaurants and drinking establishments. Throughout this guide, you'll find a comprehensive guide to the area, one that's certain to help you effectively navigate the district. Though the Mag Mile is best known for its high-end offerings, dining and drinking destinations are designed to fit every budget. For fine dining, there's Spiaggia, while those looking for wallet-friendly fare may check into a number of burger, pizza and sandwich spots. The designer-lined district is not only about high fashion and food. It's also home to a significant number of historical landmarks. For example, Jean Baptiste Point du Sable--Chicago's first settler--set up a trading post on the Chicago River at the base of the Mag Mile. There are many other cool stories detailing the rich history of this neighborhood. For those looking for activities and attractions along the Mag Mile for the family, there are plenty of places to consider. From tea time at American Girl Place to candy-centric Hershey's Chocolate World, these places provide fun times. 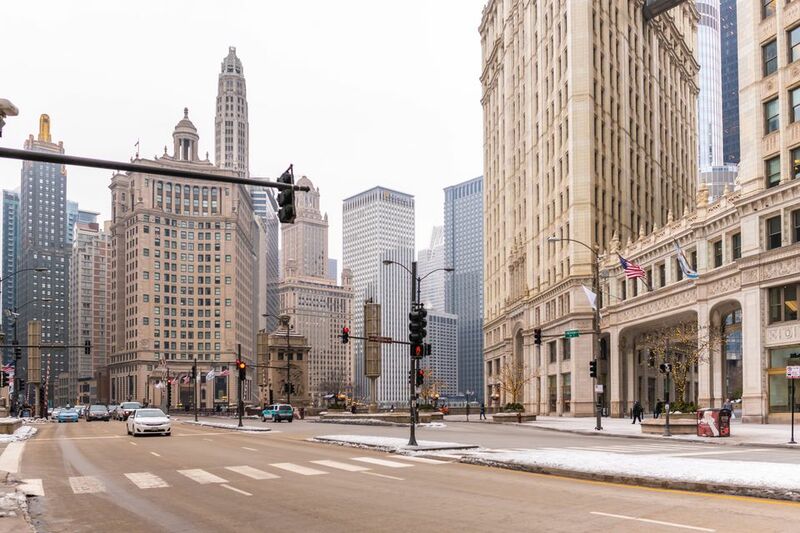 Whether it's a temporary luxury residence or downscaled mid-priced property, these hotels are situated along the Magnificent Mile strip. From Shops at North Bridge to Water Tower Place, there are some great spots to stop if you're looking for a quick, gourmet snack. All within one glorious mile are some of the top designer-centric department stores and boutiques in the world.